Putin would need an enemy, and he turned to the most reliable one in Russia’s recent history: the United States and then, by extension, me. In 2008, when Michael McFaul was asked to leave his perch at Stanford and join an unlikely presidential campaign, he had no idea that he would find himself at the beating heart of one of today’s most contentious and consequential international relationships. As President Barack Obama’s adviser on Russian affairs, McFaul helped craft the United States’ policy known as “reset” that fostered new and unprecedented collaboration between the two countries. And then, as U.S. ambassador to Russia from 2012 to 2014, he had a front-row seat when this fleeting, hopeful moment crumbled with Vladimir Putin’s return to the presidency. 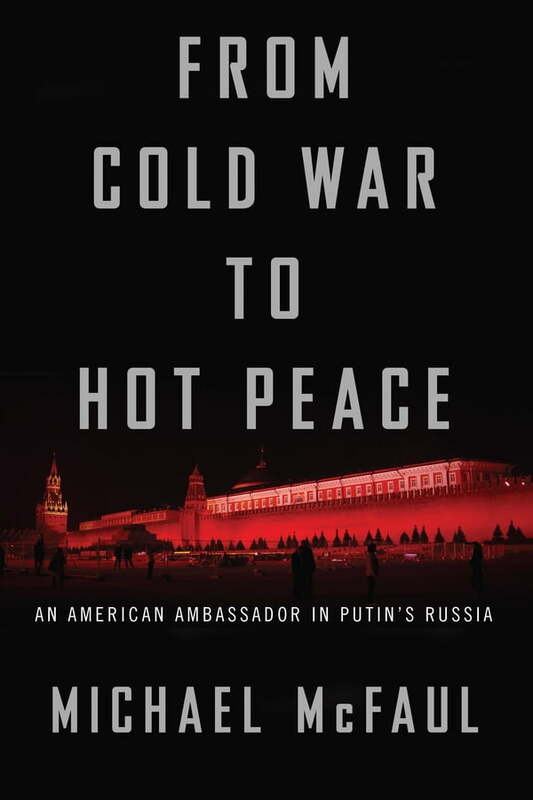 This riveting inside account combines history and memoir to tell the full story of U.S.-Russia relations from the fall of the Soviet Union to the new rise of the hostile, paranoid Russian president. From the first days of McFaul’s ambassadorship, the Kremlin actively sought to discredit and undermine him, hassling him with tactics that included dispatching protesters to his front gates, slandering him on state media, and tightly surveilling him, his staff, and his family.